Thank you for being here and considering a donation to SLC Arts! Our mission is clear and simple: Local Art for Everyone, and we work every day to improve the quality of life in our region by sharing and highlighting the talent and beauty that exists in our community. NYSCA Decentralization Community Arts, Teaching Arts, and Public Art re-grant program. As your new executive director, my vision for SLC Arts is to continue to grow as a community arts resource, bringing the arts to the community to enjoy and appreciate. As a musician and art enthusiast, I truly believe that all forms of art can become a community engagement and economic development catalyst, having the full potential to transform our region into a collection of vibrant and attractive communities. We are also excited to announce that we will be partnering with What a Raquette Music & Dance to collaboratively organize the late summer Ives Park Concert Series in Potsdam. A major portion of our funding has come from New York State Council on the Arts (NYSCA) grants, and SLC Arts is the only entity in St. Lawrence County receiving General Operating Support rather than program-specific support from the State & Local Partnerships department. But this is not sustainable, and is often considered to be dangerous funding strategy. Now, more than ever, we need your support, the support our community, to build our organizational capacity to continue to make these programs happen. We cannot do it alone, and we are certain you will see the effects your investment has on our community. Help us to continue our mission to promote collaboration within the arts community, and encourage public and private support of and involvement in the arts, throughout St. Lawrence County and the surrounding region by donating to SLC Arts today! Read about our different member-donor levels and click the button below to set up your one time or monthly donation! all the benefits of Basic Individual membership for a family in the same household of up to 2 adults and all children in household 17 or under. Our Friends help us coordinate the NYSCA Decentralization regrant distribution program that offers grants of up to $5,000 to communities, artists, and teachers. These programs engage over 10,000 additional individuals and 700 artists in St. Lawrence, Lewis, and Jefferson counties in community arts experiences funded through state grants we distribute. Programs including concert series, hands-on workshops, and youth theater camps, serve communities including Canton, Colton, DeKalb Junction, Heuvelton, Norwood, Massena, Morristown, Potsdam, Waddington, and Wanakena. As a supporter, your contribution will help support our regular community classes that not only provide community members with the chance to learn something new but also offer opportunities to local artists to teach their craft. You’ll receive 10% the cost of any community class you’d like to take throughout the year, so be sure to check your Quarterly and your email to find the classes that suit your interests. Also, if you’d like to teach a class or suggest a class, please don’t hesitate to email programs@slcartscouncil.org! Sponsors help us run our gallery exhibit program year after year. 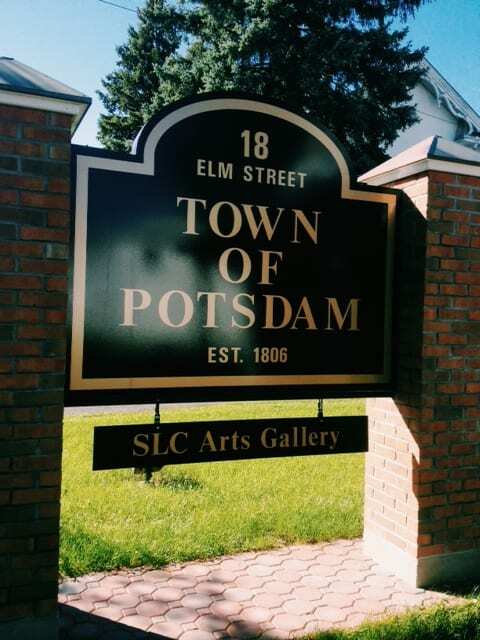 We host approximately eight different exhibits each year from individual artists or small groups in the Potsdam Town Office gallery. We are also actively working to establish our community art gallery projects in other public places around the county. With your support, we can bring more art to the sad, bare walls across our county! If you know of an artist who might like to showcase their art, or you know of a public space that could use a little sprucing up with amazing local art, contact programs@slcartscouncil.org with your suggestions! Benefactors’ contributions support our Special Arts for Special Needs classes. We have a full slate of classes held in Potsdam, Massena and Ogdensburg, taught by music and art therapist Tracy Wanamaker and assistant Allyssa Theobald, that creates art opportunities for people with special needs. This program is partially supported by the NYS Office for People with Developmental Disabilities, but we have so much interest that we need to create even more classes! Your support of this program gets people singing, creating, dancing, drumming, and we are always so proud to see what happy faces we have in these classes. The contributions of Sustainers allows SLC Arts to gain recognition across our region through our marketing efforts including our email newsletter, social media platforms, printed postcards and flyers, our website, and our Quarterly print newsletter, which has been praised across the state for its professional design and content. Our marketing efforts are vital to our organization’s growth and continuation of our mission. If you would like to contribute an article or idea, purchase an advertisement, or publish content on our website, email newsletter or social media, please email us at arts@slcartscouncil.org. Patrons’ donations allow us to continue to grow and evolve our large festivals and events including the SLC Arts Member Show, Remington Arts Festival in Canton, the Studio Tour across the entire county, and starting this year the Ives Park Concert Series in Potsdam in collaboration with What a Raquette Music & Dance. These programs offer a wonderful opportunity for community members to engage with local artists and experience art in new and different ways.